Oh, this sounds like the perfect breakfast! I’m adding stuff to the grocery list because my kids would love this for breakfast this week! Hi Heather! 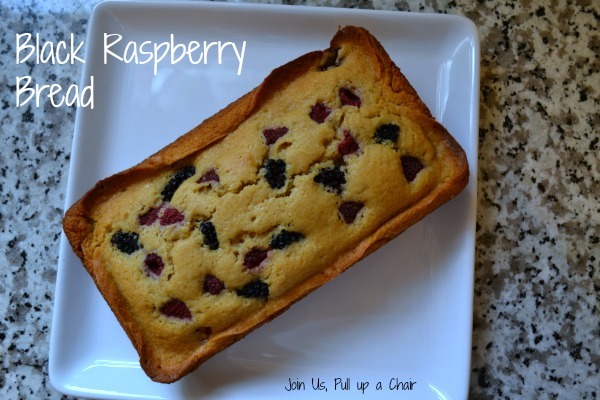 Your bread looks fabulous, and I know blackberries are great in it~with summer just around the corner I will be making this again soon! MMMM…Black and Raspberries, sound so good! This bread recipe looks great with the addition of the coconut oil in there, and I am pretty sure I could use coconut milk in there and make this a dairy-free breakfast treat for my kids! I bet you could use frozen or fresh berries in this and it would be wonderful. I was going to substitute the milk for almond milk so I could enjoy it, but decided to just make the bread for my husband and kids. Yum, this looks perfect for breakfast. I can see myself enjoying a slice, or two, with my morning coffee. Happy reveal day! Perfect as we head into berry season!! Looks so good! This bread looks and sounds amazing!! What a great recipe! This bread looks so simple and delicious. Seems like a great change when you don’t feel like making banana bread or coffee cake on the weekend. Great SRC post.